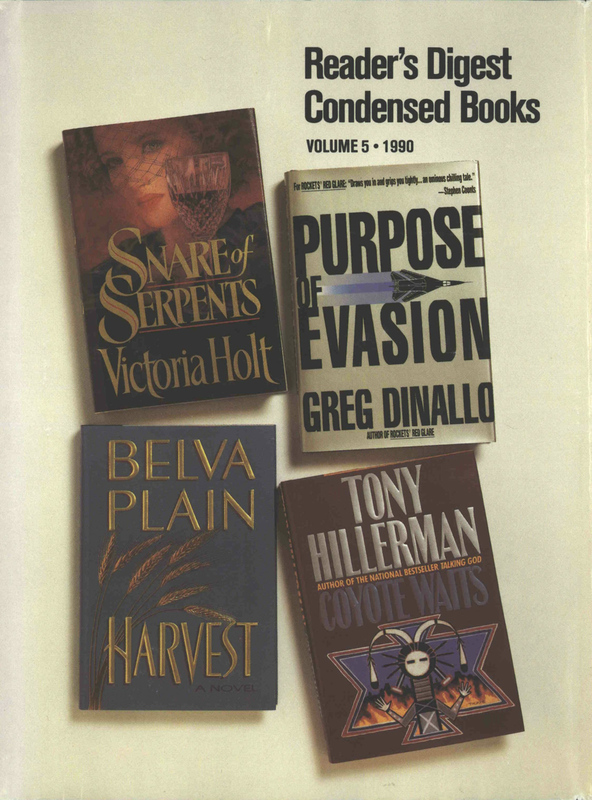 This volume of Reader's Digest Condensed Books contains an edited reprint of Tony Hillerman's Coyote Waits. It also contains novels by Victoria Holt, Greg Dinallo and Belva Plain. The front cover displays thumbnails of the included novels. The spine reads "Reader's Digest Condensed Books VOLUME 5 - 1990" in white on a red background, and also displays the titles and authors of the included novels. The back cover displays "RAVE REVIEWS for the books in this volume" and praise for each of the novels in a different-colored section.